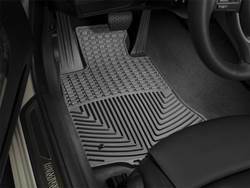 Here is a video that will walk you through the steps of trimming and installing your WeatherTech Trim-to-Fit All-Vehicle Mats. Universal Protection protect your investment from normal wear and tear. 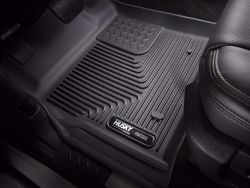 Intelligent design, combined with trim lines allow for a truly custom fit. Tall outer ridges and channels contain and keep fluid away from vehicles interior. Soft flexible compound that will not curl, crack or harden even in sub-zero temperatures. Textured finished and raised areas prevent cargo from shifting. Perfect for hauling just about anything from gardening supplies to construction materials to the family pet. These features, combined with our commitment to the environment and sustainable design, led to the development of our advanced compound that is OEM approved, virtually odorless material that contains no harmful PVCs, cadmium, or lead and is 100 recyclable. Available in black, tan and gray. 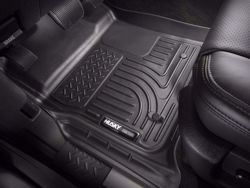 WeatherTech AVM cargo mat is a universal trim to fit application. Cargo mat is 53" wide and 36" long. Can be trimmed down to 41" wide and 27.5" long. 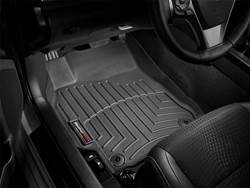 WeatherTech AVM cargo mats are guaranteed against faulty materials and workmanship for a period of three years.